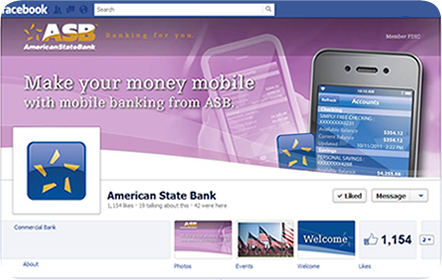 American State Bank has always made their customers their number one priority. 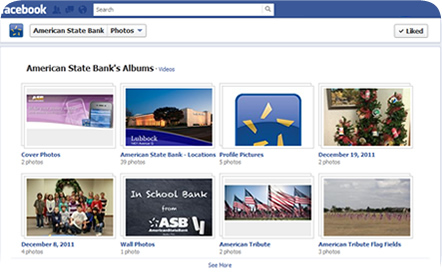 Based out of Lubbock, Texas, ASB has 39 locations across the state, offering a variety of financial services to their customers. 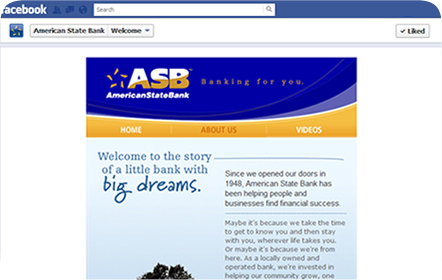 Along with setup and branding, we built a custom mini-site for ASB’s Facebook business page. 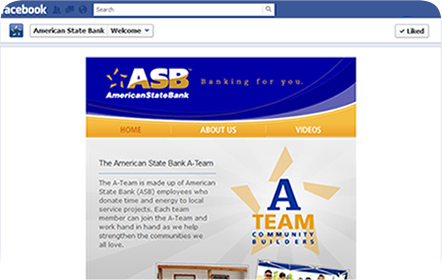 It touches on their A-Team, a group made up of employees who dedicate their time towards several community services. 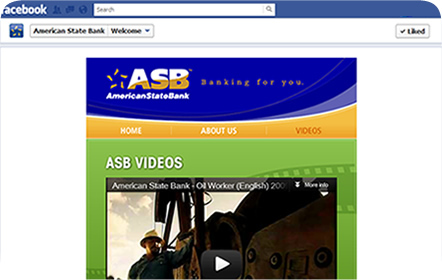 A quick overview and videos of the bank can also be found on their mini-site, with links to their full website, their Twitter page and their YouTube account.